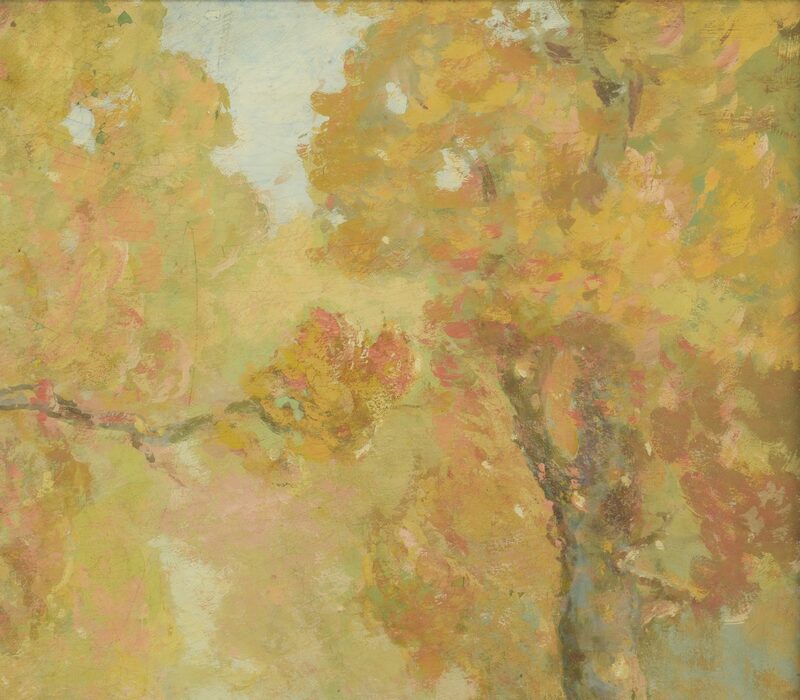 William C. Emerson (Connecticut, 1865-1937) egg tempera on board painting depicting a landscape with autumnal trees. 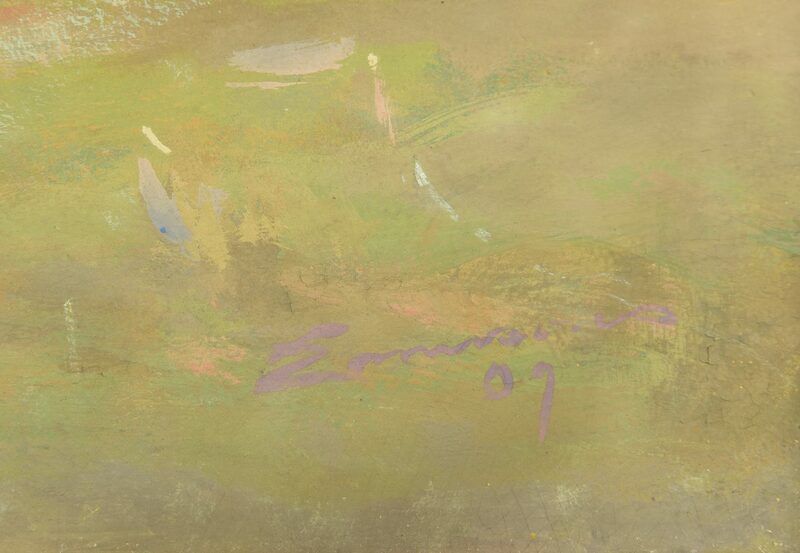 Signed and dated, Emerson/ 09, lower right. 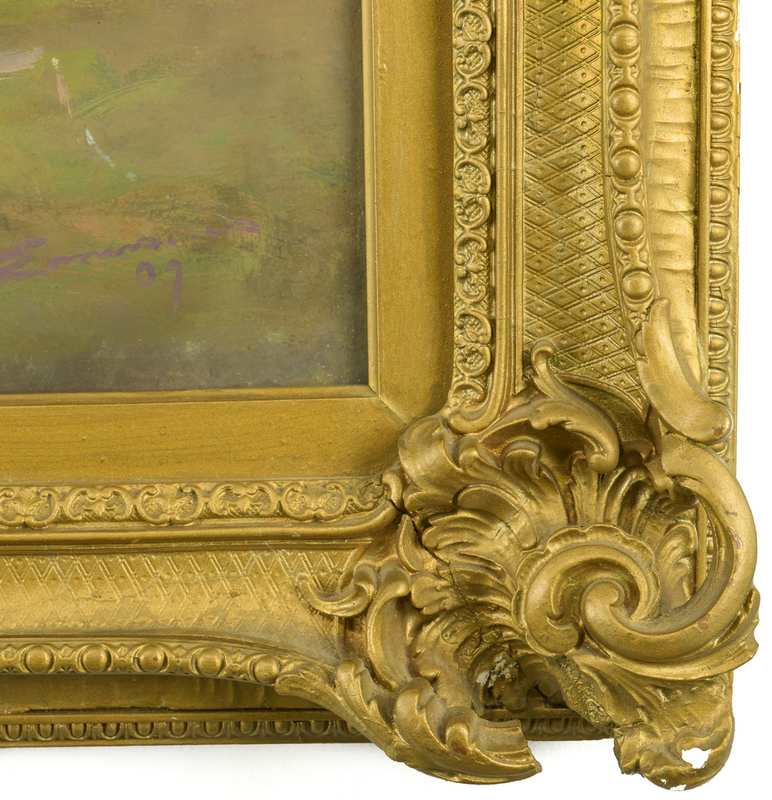 Housed in a Rococo style giltwood frame. 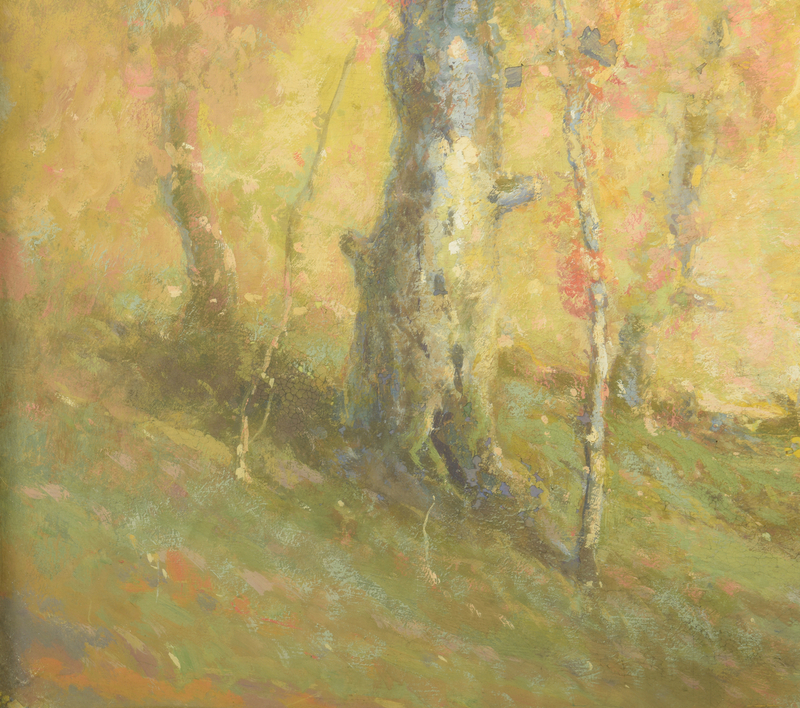 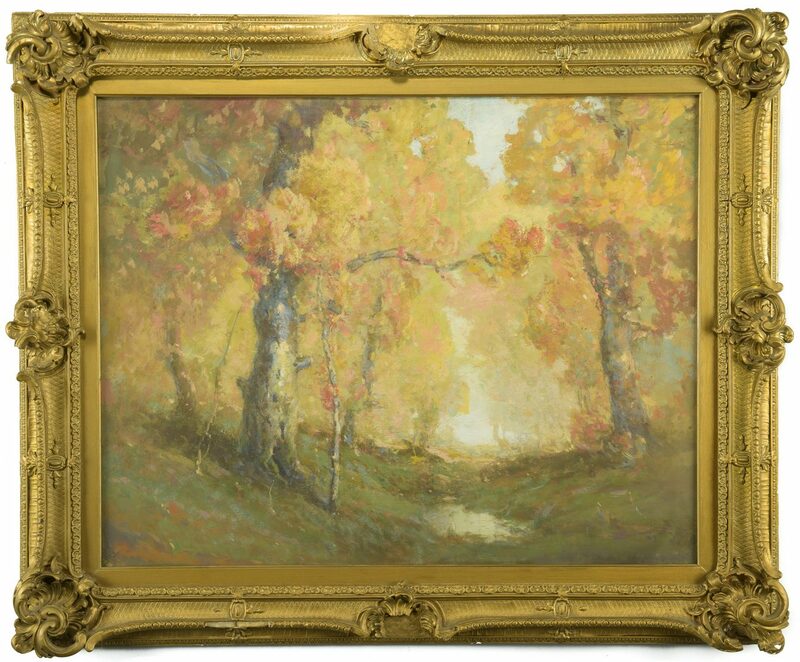 Sight – 21 3/4" H x 27 3/4" W. Framed – 29" H x 35" W. Provenance: Property private Louisville, KY collection. 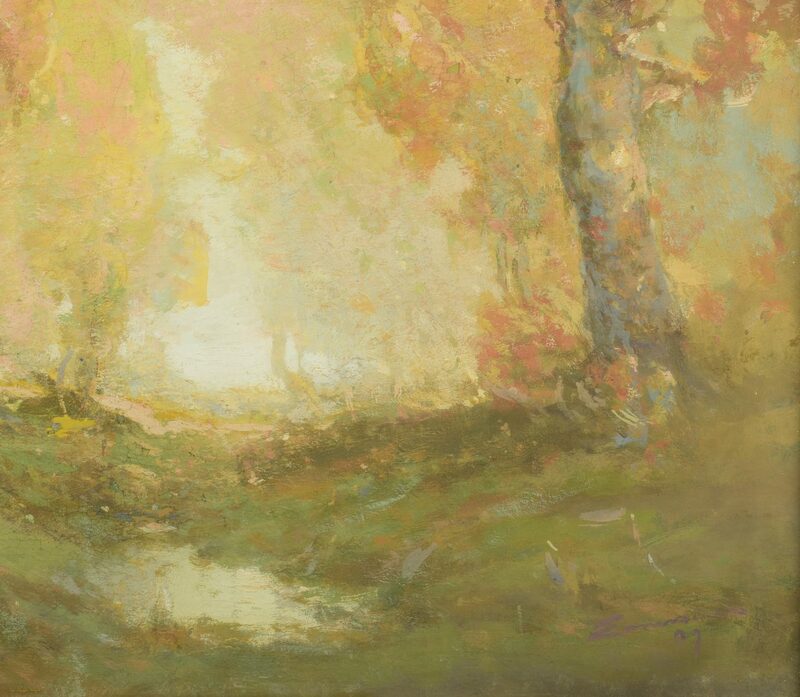 Biography (courtesy Askart): Born in London, England, William Emerson was an architect and a painter of tonalist landscapes. 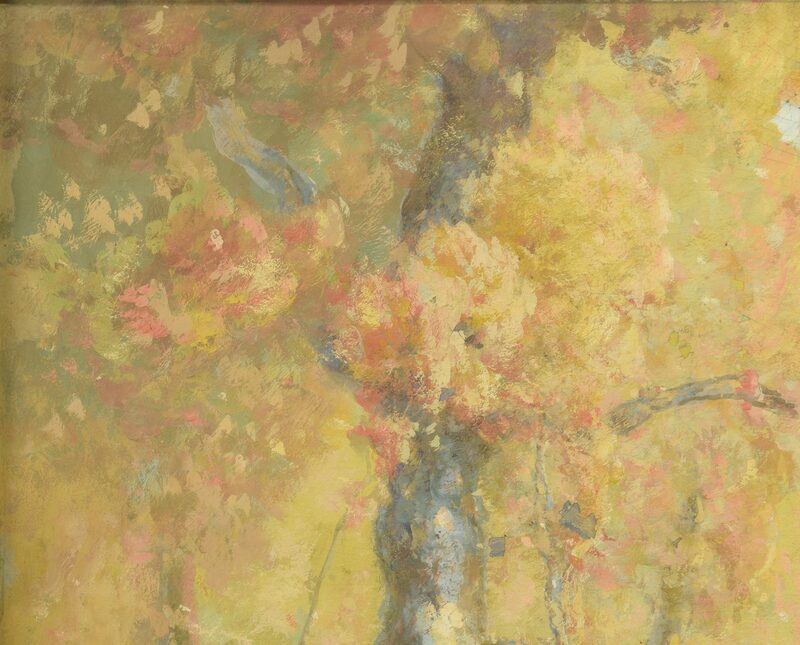 He was active in Chicago and New Preston, Connecticut. 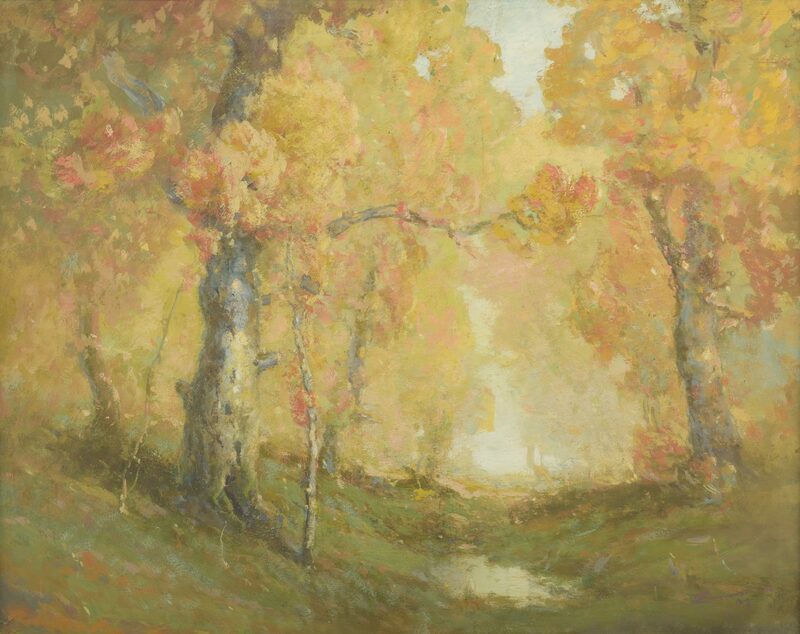 He was a member of the New York Watercolor Club, Chicago Watercolor Club, Chicago Society of Artists, and the Westchester Art Institute and exhibited at the Chicago Art Institute. 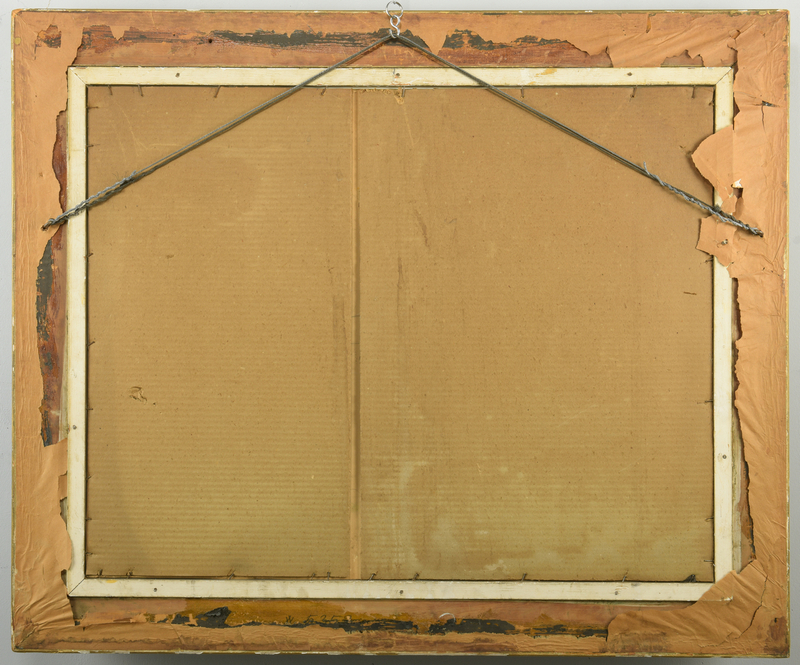 CONDITION: Craquelure, surface of painting. Scattered paint flakes, largest 3/4", to surface of painting.